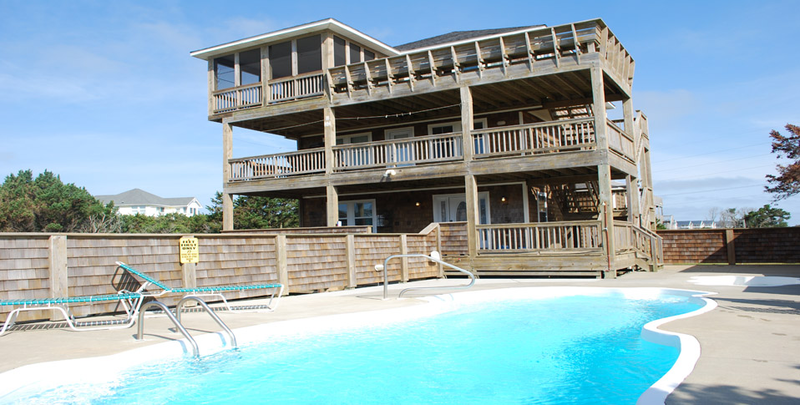 Ivey Coast Beach House • Outer Banks Beach House in Hatteras Village with six bedrooms that sleeps 14 comfortably, private pool, sauna, billards table, and hot tub. The Ivey Coast Beach House is in the third row — a one minute walk — to the Atlantic Ocean and the unspoiled beaches. 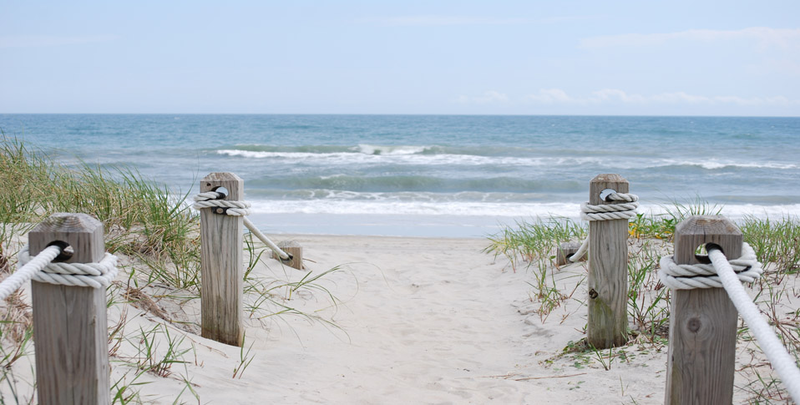 The beautiful, pristine condition of the beaches ranks the Cape Hatteras National Seashore as one of the best beaches in America, and a routine entry on many top beaches lists, including "America's Top 10 Beaches" by the well known expert, Dr. Beach. In Hatteras Village, you’ll find no busy boardwalks or shops crowding the beach, just miles of sand and blue Atlantic Ocean. 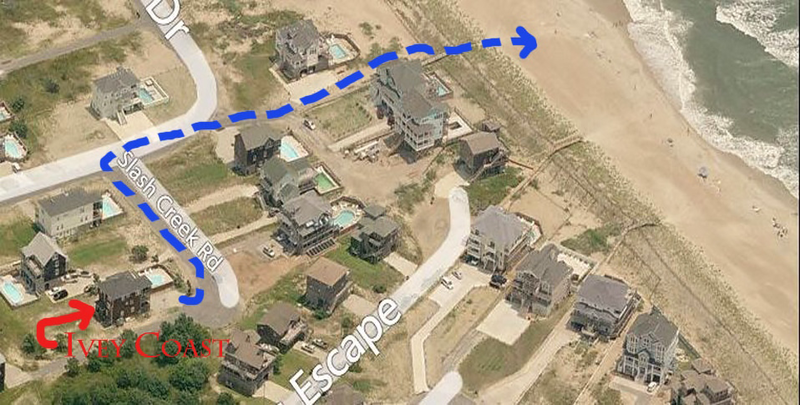 The Ivey Coast Beach House is in the third row and only a one minute walk from to the Atlantic Ocean. Six bedrooms that sleep 14 comfortably, five full baths, and two half baths. 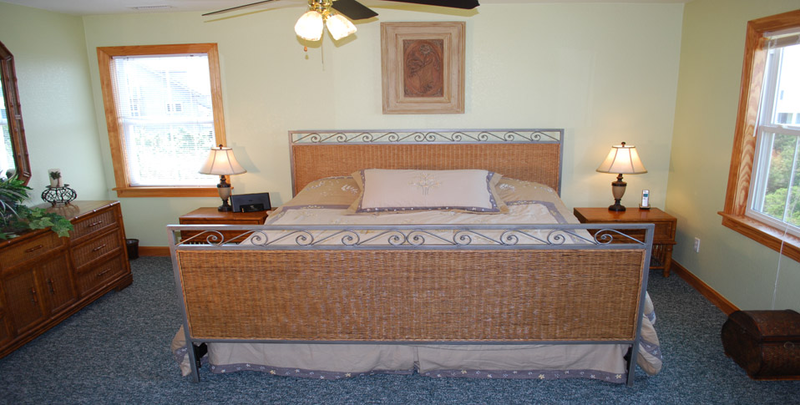 Master Suite has a large jetted tub and a 32” flat screen HD TV with cable and Netflix. Great Room has a gas fireplace, two couches, two upholstered chairs, and a 52” flat screen HD TV with cable TV, as well as Netflix. Our Encase mattress and pillow protectors completely block bed bugs, liquids, dust mites and allergens. We use them for every bed in the house. Pool with heater, kiddies’ pool, 90”x 90” hot tub that seats six, and a sauna that seats three. Fully stocked kitchen with large, high end Maytag fridge with filtered water, under counter microwave, blender, two coffee pots, and other top of the line items. Crib, pack & play, and highchair for infant. 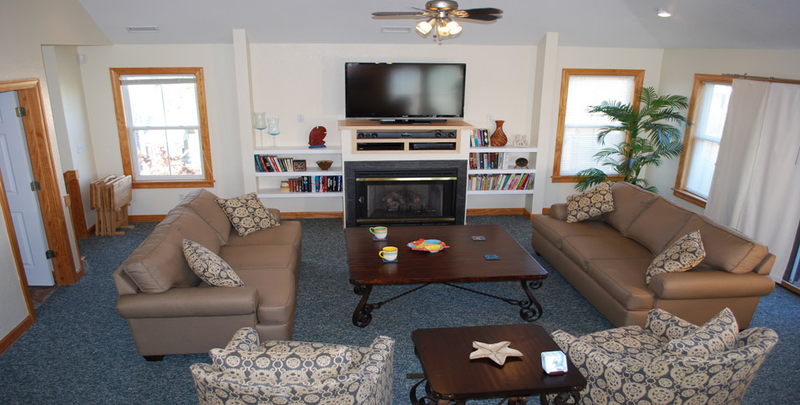 Game Room has a gas fireplace, eight foot Brunswick billiards table, 42” flat screen TV, wet bar, small microwave, and full size refrigerator. Both Queen bedrooms and the Full/Twin bedroom have 32" TVs with cable and Netflix. One kids bedroom has 32" flat screen TV with X-box and 20 games (6 - "E"veryone; 8 - "T"een; 4 - "M"ature). We use the very efficient and confidential reservation and payment services provided by Vacation Renters by Owner (VRBO.com) to process our customer requests. Our rates change depending on the season. Check out our complete rate sheet and contract! Since our pool has a heater, it is often open in April and stays open until November; pool heat costs $350/week. We had a surprise birthday vacation for my brother's 50th at Ivey Coast. It was the best vacation! The house was as described, perfect layout for multiple families, great amenities. The kiddie pool was the perfect for us. The screened porch with table also provided a perfect kids table for meals and it is right beside the main dining room table. The pool table was used a lot also. The board games also provided great family time. And don't miss the beautiful sunsets out of the kitchen window. Loved how close to the beach it was. We had the most fun crabbing at night with flash lights and buckets. So nice to have entire families out laughing and all participating. We also rented a couple of kayaks and headed to the sound area. Less crowded and we were all able to actually get in the water without the danger of a rip current. Perfect for the young ones and again we all enjoyed it. So many good memories. Hope to repeat it again in 2015! - Aug 20, 2014 by Wren W.
For your convienence, we have a brochure that you can download, email, or print!